Our client is a CIDB G7 certified main contractor that is led by a young and dynamic director in the construction industry. Their have strong experience in completing both government and private projects. Among the projects completed are government hospitals, affordable residential apartments, private luxury high rise condominiums and commercial towers. You will be working on a mixed development project. It comprises of towers and a mall. This phase is a Green Building Index (GBI) certified building. The Project Director is in his late 40's and is very hands on with his work. He is experienced in many high rise projects. The team already has the required site staff below the PM position. Ideally you should be able to demonstrate you have started an completed a project. Completion of the structure alone is also acceptable. Strong knowledge of the Contract and handling of all the documentation AND coordinate with the HQ for any contractual matters for a timely resolution. This company gives its staff a Project Completion Bonus based on timely completion of the project. Also, their yearly bonus is between 1 to 3 months. They are generally comprised of younger staff which makes for a fun and exciting work environment. *The culture is to train and upskill junior staff and they encourage senior project engineers and assistant project managers do apply for this position. This is a fantastic opportunity for Assistant project managers who want structured exposure and long term careers in construction. 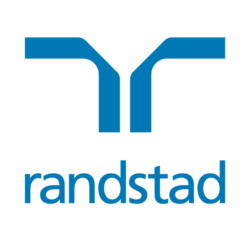 Kindly send your application to ashley.m@randstad.com.my to apply. You will be working on a mixed development project. This is a Green Building Index (GBI) certified building(s).